5 Bedroom Detached House For Sale in Leicester for Asking Price £350,000. 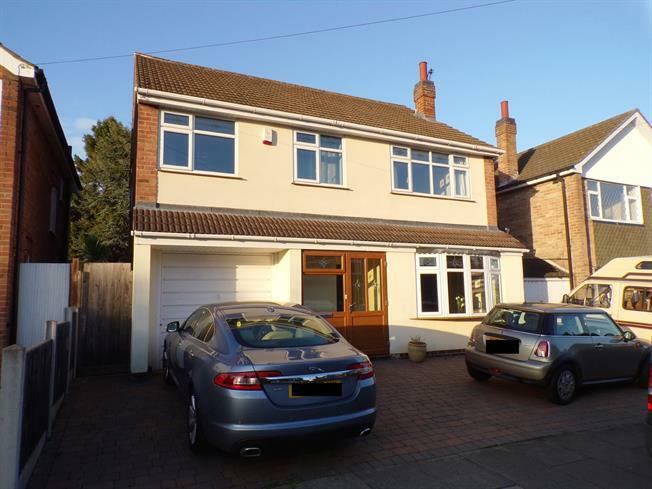 This well presented property has been extended to the side and rear to create a generous property on a sizeable plot. The property boasts two reception rooms, conservatory, kitchen, WC, five bedrooms and a family bathroom. Other features include gas central heating, double glazed windows and doors, paved patio, wood decked seating area, generous laid to lawn rear garden, garage, driveway parking, appealing floor and some fitted kitchen appliances. Local schools, shops, travel links, supermarkets and Leicester city centre are all within easy reach. Viewing strongly advised.